Bentley was part of Rolls-Royce all the way from 1931. Through the 90’s badge engineering between the two was most common practice regarding the lineup, bit since both was bought by Volkswagen in 1998 and Rolls transferred fully to BMW hands in 2003, different direction appeared as mandatory. BMW revealed its first model of Phantom in 2003, while VW introduced Continental GT in the same year. GT came as a successor of Continental R, which was upon introduction in 1991 first vehicle that didn’t share a body with Rolls, and after 12 years on the market, it was replaced with a car that surely couldn’t share anything with Rolls anymore. So, GT coupe was revealed in 2003, with fresh ideas, new look, and new underpinnings. It was stunningly beautiful when it reached the market, and it borrowed a platform from Phaeton, which besides turning out as huge sales failure was praised for its engineering. GT was the ultimate grand tourer, abundantly luxurious and tremendously powered with the W12 engine, becoming an instant success. In 2005 Flying Spur model has been introduced in sedan shape and in 2006 cabriolet arrived as GTC model. The first generation stood for eight years on the market before being replaced by second. In 2011 new version was introduced, and since it is celebrating six years on the market this is the cause of the problems. The second generation was more in resemblance of a refresh than the completely new model and only one engine offer remained. Nobody could argue striking looks and volcano seating under the hood, but basically, in 2017, we have a slightly improved idea that was born 14 years ago. In 2013 new engine was introduced and we received 4.0-liter V8 posing as cheaper and more efficient option, but since rivals weren’t sleeping something more had to be done. Ferarri revealed California in 2008, and despite it appears as a different idea, it is still GT sharing the same price bracket while Aston has just introduced new DB11 last year. On top of that, Merc brought the new generation of S-Class coupe three years ago, and besides it start with half of Bentley’s price tag, in AMG clothing it easily outperforms it on all fronts, even in luxury area. Since Bentley knew that proper change is needed it teased us with 2015 EXP 10 Speed 6 Concept showing how far it can go if it wants. And it went far indeed. Concept incorporated all traditional design cues but in such modern and gorgeous manner that it was breathtaking. Big, bloated and heavy coupe suddenly turned to sleek and handsome one but still remarkably elegant, which besides luxury was showing for the first time some driving credentials. The cabin that lived almost unchanged from 2003 has been transformed into something totally new, raising to whole another level in elegance and luxury and sharing nothing with the model in production design wise. We see from spy photos that test mule driving on public streets shares plenty with mentioned concept, and we couldn’t anticipate anything better than that. Most importantly, the new lean body is there, and we predict that it will stun with its looks upon revelation in the same manner that it caught us off guard in 2003. No shots of the cabin are available yet, but everybody would be grateful if it follows concept trails which should find its way to 2018 Bentley Continental GT. 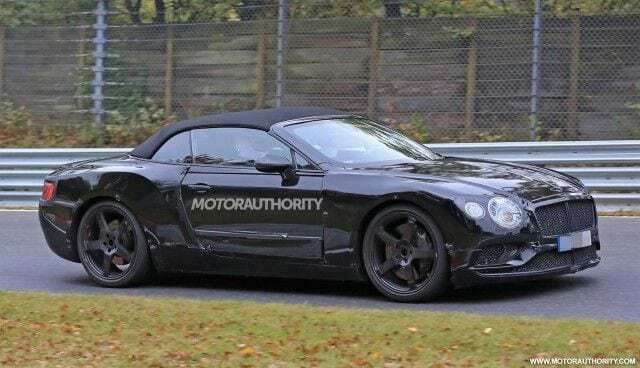 According to rumors, the 2018 Bentley Continental GT should be revealed during 2017, probably at Geneva Motor Show. It will sit on shortened MSB platform which currently underpins the second generation of Porsche Panamera, and there is nothing more that Bentley could wish for, and it definitely sounds more alluring than taking platform from VW. 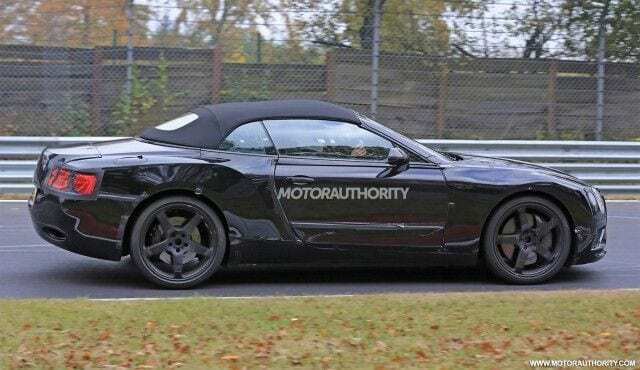 That means that besides luxury and straight power, GT would finally offer some proper cornering despite its size. Under the hood 6.0-liter W12 and 4.0-liter V8 surely remains, although W12 is going to be revised as in just introduced Bentayga, pumping out over 600 hp, while possibly joined by hybrid powertrain from Panamera. Anyway, dressed in a new magnificent body and sharing Porsche driving capabilities should prove sufficient to change the rules on the market again by Bentley.